Real estate insiders on Tuesday agreed “the jury is still out” on whether the workforce of the future is driving a trend for companies to migrate back downtown. But two corporate real estate executives from TCF Bank and UnitedHealth Group, who served as panelists at the NAIOP Minnesota event in Golden Valley, provided first­person assessments of the advantages their companies have seen in setting up shop in the suburbs. They cited parking and opportunity for on­site growth as two major factors. TCF Bank recently completed its relocation of about 1,700 corporate employees from seven sites around the metro into the Plymouth Corporate Center along the southeast quadrant of Interstate 494 and County Road 6. A large percentage of that workforce worked for many years at the TCF Tower in downtown Minneapolis. But an internal survey of corporate employees before the company’s 2014 decision to move to Plymouth helped influence its site­selection process and redesign of the newly leased west metro office space, said Michelle Schmitt, vice president for corporate real estate at TCF Bank. 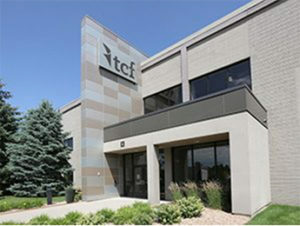 TCF has a 10­year lease for more than half the space in the two­story, 635,000­square­foot building at 1405 Xenium Lane. Originally constructed in 1974, the building was renovated last year for its new anchor tenant. Newly enhanced workspaces have increased efficiency and collaboration across business lines, Schmitt said. 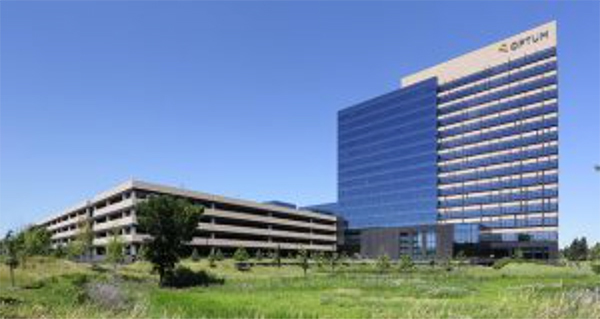 A similar idea was involved when UnitedHealth Group began designing its new Optum campus in Eden Prairie in 2012, said Restor Johnson, vice president of real estate services for the health care company. In 2015, UnitedHealth completed construction of the 15­story tower and two adjoining eight­story buildings on a campus that features 6,000 parking stalls for its Optum health services division employees. While that seems like a lot of office space and parking, UnitedHealth envisioned the $95.5 project with efficiency in mind, Johnson said. The fact that the new campus is near one of the proposed light rail transit stations along the future Southwest line is a “bonus,” but didn’t make or break the site selection, Johnson said. Despite the fact that UnitedHealth Group chose to build new for its Optum division, the rising cost of construction has driven more developers and owners to consider adaptive reuse of existing buildings, said Tom Shaver, of Inland Development Partners, who served as moderator. But whether millennials and future generations of employees will be drawn to urban working environments over suburban locations has yet to be determined, said Vik Bangia, managing principal for Verum Consulting, also a panelist at the discussion. “The jury is still out on that,” Bangia said. “There’s certainly somewhat of a trend toward urban living and working.” Whether it’s a lasting trend, “I think we will see that play out over the next 10 to 15 years,” he added.